General Hospital spoilers affirm Jordan Ashford (Briana Nicole Henry) needs a kidney transplant. Her near-fatal accident left her with only one functioning kidney and it is badly compromised. This means Jordan’s life may depend on a perfect stranger or someone she already knows. So, who are GH’s best donor candidates for a donor for Commissioner Jordan Ashford? 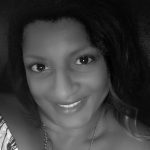 There are three to consider, assuming that her son TJ Ashford (Tajh Bellow) and husband Curtis Ashford (Donnell Turner) are not a match. That’s be way too easy, right? General Hospital Spoilers: Teen Trina a Possible Jordan Ashford Donor? On GH, Oscar Nero (Garren Stitt) and Josslyn Jacks (Eden McCoy) venture on a road trip to Niagara Falls. Their friends Cameron Webber (William Lipton) and Trina (Sydney Mikayla), accompany them on this adventure. However, the teens get more than they bargained for. With Ryan Chamberlain (Jon Lindstrom) also on the way to the Falls, danger seems entirely likely on this collision course of characters. General Hospital spoilers report the minors may run into trouble. So, one of them may fall prey to the serial killer and prove to be a match for the commissioner. Oscar is rumored to survive for a while yet, and Joss and Cameron are out because they are underage. That leaves Trina. She’s also not a major character. If she runs afoul of Ryan and meets a grim end, she might be the donor for Jordan Ashford. GH Spoilers: A Little Redemption for Ryan? Another plausible notion is that serial killer Ryan Chamberlain meets his maker on General Hospital. He can’t run from the cops forever. So, his reign of terror may likely come to an end now that he nabbed Carly Corinthos (Laura Wright). As Jason Morgan (Steve Burton) is lethal even on a bad day, and he’ll give chase, it’s only a matter of time. But spoilers say Jason is too late, but that doesn’t mean Ryan survives. If Jason doesn’t execute Ryan, there’s another on GH that might. Ava Jerome (Maura West) will be first in line. Once she realizes the man she loves murdered her daughter, she may kill him. Also, Carly may fight back violently if she gets the opportunity. Nevertheless, regardless of who brings Ryan down, if he is a donor match, Jordan Ashford’s life could be saved which would redeem him ever-so-slightly. 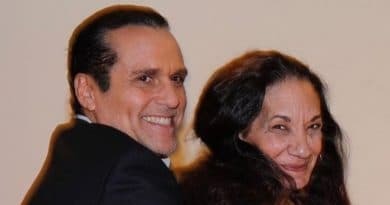 General Hospital Spoilers: Aunt Stella Saves Jordan? Jordan Ashford has a rocky history with her GH husband’s spitfire auntie, Stella Henry (Vernie Watson). Yet, now that Jordan Ashford is in the ICU, Stella appears to want to make amends. So, saving Jordan’s life may be a good place to start. GH offers a couple of ways Stella might wind up as Jordan’s donor. First is if her medical issue crops up and she has a stroke that takes her life. But, that seems a long shot. General Hospital spoilers hint she might be a living donor for Jordan, though, if it turns out she’s a match. Although Stella’s health history might exclude them from testing her, in fact her DNA may already be in the GH database. If it was her fingernails that Maxie Jones (Kirsten Storms) got from the salon and tested, the hospital lab may notify Curtis they have a possible donor for Jordan and search her out. Who Gives the Life-Saving Organ to Jordan? 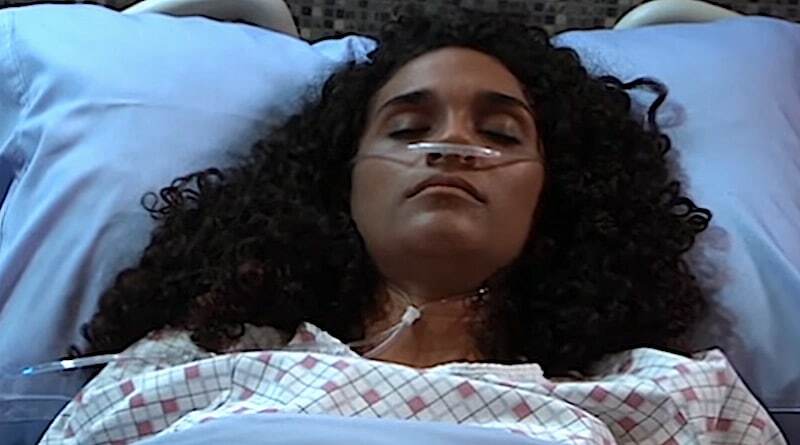 So, Jordan Ashford continues her fight for her life on General Hospital. Curtis just got the bad news that his wife needs a kidney, so no doubt he will get tested as will her son TJ. But it wouldn’t be a good twisty soap plot if one of them was a match and the problem was easily solved. Instead, look for something more interesting to crop up as they try to save the PCPD chief. Who do you think will be the one to save Jordan Ashford? There is a lot happening on GH for February sweeps including the quest to save Jordan’s life. Vote in the poll below on who you think might save the life of the police commissioner. Who will wind up the kidney donor match for Jordan Ashford? Get all your hot General Hospital spoilers at Soap Dirt. General Hospital is my guilty pleasure. For over 20 years, I have escaped to Port Charles, NY so that I can laugh and cry with its beautiful residents. I’ve watched many other soaps over the years, but only GH has stuck with me from high school, through the birth of my children and beyond. As a writer for Soap Dirt, I now, get to inform the fans who can’t watch the show on a regular basis. 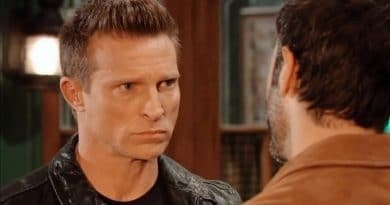 ‘General Hospital’ Spoilers: Shiloh Confronts Jason – Angry Over Kristina Kidnapping?